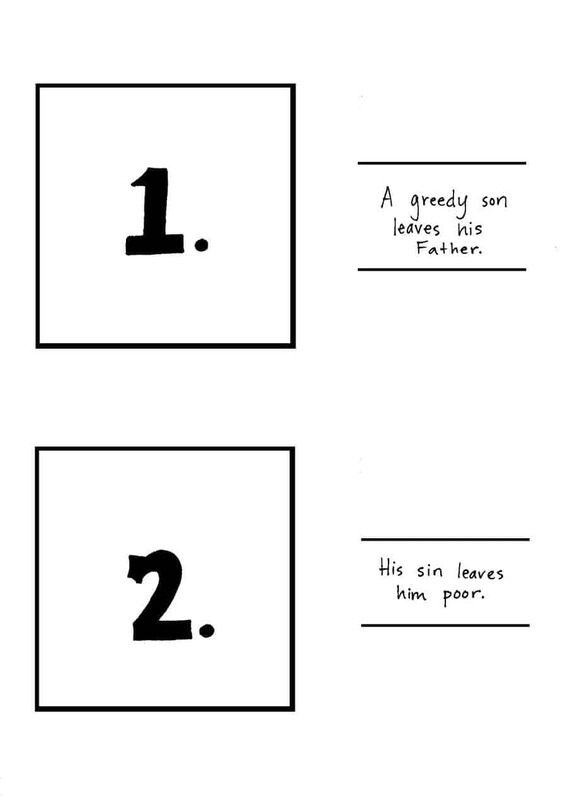 Use this free coloring page to teach the Parable of the Prodigal Son. It’s designed with a mini story format to help children process the events. 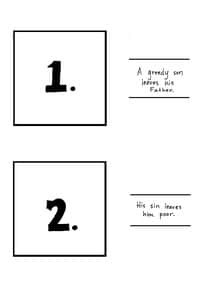 The main page has four panels that illustrate the events of Luke 15. 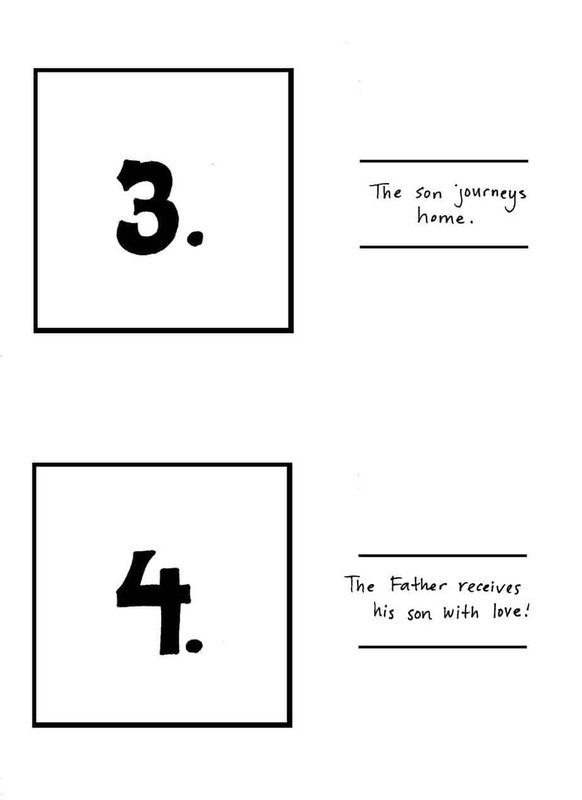 Directions: Have the children color the first story page and then cut out the four panels. 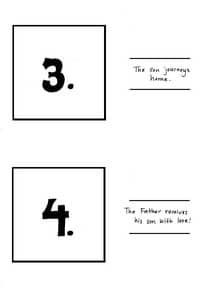 These can be glued to the numbered sheets to create a framed storyboard. We recommend solid color paper for the number sheets. 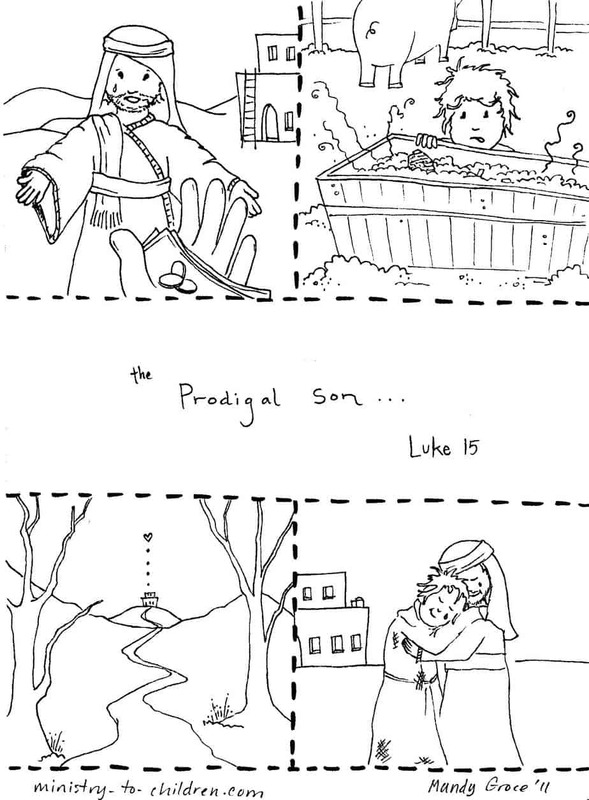 Some teachers will use this Prodigal Son coloring page as a lesson illustration. We have also heard of children building a whole poster sized report based on this artwork. We love to hear your feedback about this free printable coloring sheet, simply click here to let us know how you will use the project. The lessons based on the parables of Jesus have been a blessing. Beautifully laid out. Well done. Thank you for this lesson. I will be able to assist in our Sunday catechism better. Tony Kummer (Editor) reviewed & updated this page on : April 1, 2019 at 6:02 pm. All our content is peer reviewed by our readers, simply leave a comment on any post suggest an update.